I came across a thought from Rabbi Zelig Pliskin this week that challenged me to view things from a different perspective. Rabbi Pliskin wrote, "View every person you find difficult as your partner in character development." It is easy to be patient and kind with other people who are patient and kind themselves. This is not a challenge. The challenge is being kind and patient with the rude person at the store, the obnoxious guest in your house, or the co-worker who yells at you and is constantly negative. As much as we would like this person to be on another planet, they are necessary for our own personal growth. We need to view encounters with these people as tests, to see that we are what we believe ourselves to be. To search out transgression and to speak words of praise are two good qualities which every Jew is obligated to possess. However, it is necessary to understand in what manner they should be used. Transgressions, a man should search out in himself. Praise, however, he should speak in regard to others. And not the reverse. Why should the exception be the rule? Does the fact that someone else does something give us permission to do it as well? If you believe something, what others do is of no consequence. This post continues a string of thought that starts here and is based upon a teaching of Rabbi Chaim Vital. If the way a person acts with his family reflects who he really is, who am I if I am worn down and always tired when I am together with my family? After work I see my daughter for 2 ½ hours before she goes to bed. I know I need to earn a parnossa. I know this is something every father experiences and that my situation is not unique. I wish that this 2 ½ hours with my daughter was my personal best 2 ½ hours of the day. Ribbono shel Olam, please give me the strength to invest my all into these 2 ½ hours. The Baal Shem Tov had two grandsons, Rabbi Moshe Chaim Ephraim and Rabbi Baruch. While both were pious and well educated in Torah, Rabbi Moshe Chaim Ephraim lived a frugal and poor life, while his brother, Rabbi Baruch, became very wealthy. One day the rich Rabbi Baruch decided to spend Shabbos with his poor brother. Rabbi Moshe Chaim Ephraim was honored and he told his wife to try and order the best of everything in honor of his brother. The poor woman sighed as she counted her few pennies but as a dutiful wife she went to the market and borrowed enough money to purchase extra food for Shabbos. That night, when the two brothers came home from shul, they entered the poor house and there they saw two small candles burning from an earthen dish, a white tablecloth spread out over the table and two small challas on it. A small bottle of watered-down wine was near the challas and a wooden bowl containing salted herring and onions stood near it. They made kiddush and they sat down to eat the Shabbos meal, which was very little. The rich Rabbi Baruch turned to his poor brother and sighing said, "Woe is to me, my brother, that I see you in such a poor state. How do you manage to exist in such poverty?" "Why do you speak this way to me?" Rabbi Moshe Chaim Ephraim innocently replied, "Is there anything missing here?" "Everything is missing," he said "In my home we have silver candle holders, beautiful furniture, the wine is poured into silver cups and on the table we have enough food fit for a king." "Where do you get so much money to be able to purchase all these fine things?" asked Rabbi Moshe Chaim Ephraim. "Don't you know?" replied his brother. "I have to travel all week from town to town, buying and selling merchandise so I accumulate enough money to buy the finest things for Shabbos. "Then you are worse off than I am," replied the poor brother. "Your gold, silver and money is in your home while you have to wander from town to town as if you are in exile. While my money is in exile, in other peoples' hands, still I am at home the entire week enjoying the company of my wife and children and enjoying the study of the Torah. Who leads a happier life?" I just saw a picture of a mother crying with her dead children laying in front of her. It does not say that he was a grocer. Because what he DID was not WHO he was. You are not your position title. Eat the labor of your hands, but not of your heart and soul. Of course you must toil with your hands in order to earn a livelihood, but never allow your entire being to be totally consumed by your occupation. Even as you toil with your hands, concentrate your thoughts upon lofty spiritual goals. Isn't it ironic that it is easier to be kind, patient, and tolerant with a total stranger than with a member of your own family? Do your part to support the Jews of Gaza by planting a tree for Tu B'Shevat. Arrogance is a funny thing. I am generally not an angry person. Before having children I used to think that anger was a problem other people had to overcome. So misguided was my thinking that I would even skip over chapters on the subject of anger in mussar seforim. I honestly thought I had overcome the bad trait of becoming angry. Anyone with a toddler knows that you get angry. You can't help it, it just happens. All it takes is one time trying to change a diaper with an uncooperative toddler wriggling around and resisting your every effort to put on a clean diaper. There are numerous things that a toddler can get into that can sometimes just make your blood boil. I never remember yelling at anyone before having children. I catch myself on occasion, and the fact that I have this latent anger disturbs me. I am comforted somewhat when I see other parents out in public who are dealing with the same thing. It is always nice to see another child behaving worse than your own. Raising children is the supreme challenge. It teaches us all the areas that we ourselves need to improve upon; selflessness, anger, refined speech, etc. While trying to improve the behavior of our children, we learn the need to improve ourselves. Even if someone conscientiously prays, learns Torah, and serves G-d, the moment he gets angry he loses everything, and has to make a new beginning. Practicing silence is necessary in order to prevent one from saying things that will be regretted later. During an uncomfortable silence or pause one naturally has the inclination to want to speak. This is where one may stumble. A G-d fearing person will not want to stay in the company of idlers or gossipers... If you are forced to be among idlers from time to time for the sake of peace, keep silent. Even though this is not desirable, it is the lesser of the evils. The neshoma can be likened to a gasoline-powered automobile. If one fills up the gas tank with diesel fuel the automobile will be damaged and will cease to run. Kosher food is the fuel specifically intended for the neshoma. While kosher food helps the neshoma stay healthy and receptive to ruchnius, food that is not kosher dulls the neshoma's sensitivity and ability to perceive Hashem in this world. The different grades of gasoline can be likened to the different gradations of kashrus. At the gas station there are choices between regular, super, and supreme. Similarly, there are different levels of kosher food. With dairy products there are those labeled OU-D and then there is a "higher grade" of Cholov Yisroel. Many people, including myself, just fill up with the "regular" and make sure to stay away from the diesel. Kashrus is an area for continual improvement. No matter what level you keep now, there are always still levels above you to aspire to. When a person manages to break his desire for food, G-d works miracles through him. I am constantly amazed by the power of the internet. Using information I obtained from Yad Vashem's new database I was able to get in contact with a lost branch of my family. 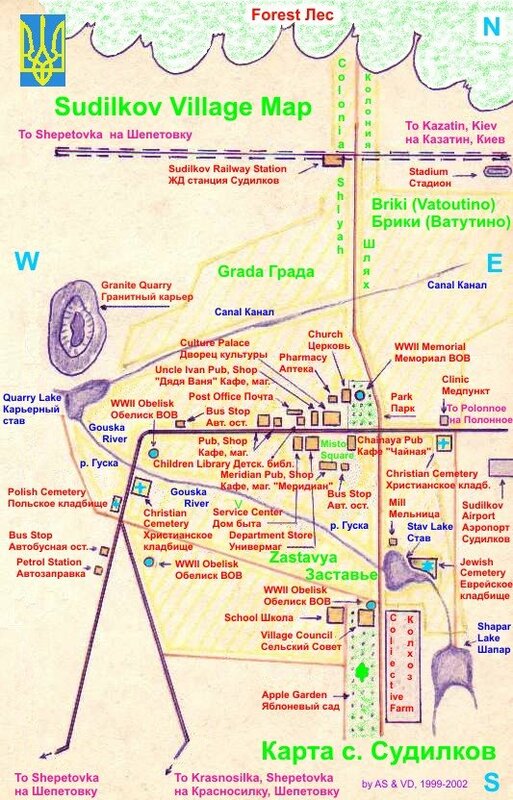 While most of my family left Ukraine before the Holocaust, there were some that remained behind and were killed. A Page of Testimony on one of my relative's who was murdered by the Ukrainian militia provided contact information for his surviving son. He is now living in Jerusalem and is almost 90 years old. I sent him a long detailed letter a few weeks ago and during my lunch break today I called him on the phone. My family has been united once again! Thank you G-d for the internet. It can be used as a tool for the good. One sentence that applies to religion, politics, etc. The acceptance of an idea depends on the manner in which you present the idea. Returning home on Monday I discovered that the pipes to our kitchen sink were frozen. I placed a space heater near the pipes and was able to melt the ice after about four hours. Thank G-d, the pipes did not burst from the pressure of the ice. The symbolism of the frozen pipe is quite appropriate for this long stretch of time in between Chanukah and Purim. Can the enthusiasm we had during Rosh Hashanah and Yom Kippur sustain itself throughout the cold winter without our constant efforts? The frozen pipe tells us that it cannot. My father-in-law once taught me to keep the kitchen faucet running just a tiny bit on a night that is going to be below freezing outside. Keeping the faucet running, even just slightly, will prevent the pipes from freezing since it is extremely difficult for ice to form on moving water. This reminded me of teaching of the Baal Shem Tov on the subject of continual effort and perpetual motion. Vayikra 6:6 says, "Fire shall be kept burning on the altar continually; it shall not go out." "Our heart is the altar. In whatever you do let a spark of the holy fire burn within you, so that you may fan it into a flame." There is no such thing as a random occurrence in this world. We can learn from everything we see. 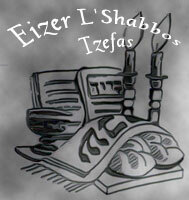 A website with information concerning the fast of the 10th of Teves can be found here. Interestingly, this website points out that in 1948, the Chief Rabbinate of Israel, named Asara B'Teves as a memorial day for those Jews who were murdered during the Holocaust and whose yahrzeit date is not known. From your opinion of others, we know their opinion of you. An anonymous e-mailer sent me some beautiful quotes from the Pele Yoetz a few weeks ago. I had never heard of this rabbi before so I looked up some information about him on the internet and also purchased the book The Essential Pele Yoetz: An Encyclopedia of Ethical Jewish Living. From what I have seen of it so far, this is not a book that one reads, but rather one to return to time and time again for advice and guidance. If you perceive darkness around you it is futile to point it out to others, to tell it to go away, or to tell the darkness to stop being dark. You must become a source of illumination yourself. Only this will drive away the darkness. When guests are invited to a wedding, the purpose is to gladden the hearts of the bride and the groom. But there are always guests who care only for their own pleasure, and who pay no attention to the young couple. In the same way, the purpose of our life in this world is to strive for the union of G-d and Israel, His bride, through the performance of mitzvos and good deeds. But some of us are neglectful of this task, and concern ourselves only with our own enjoyment. I will be offline until next Tuesday. I am going out of town on Sunday for a wedding. G-d willing, on the drive home I will be able to stop at the cemetery where my great-grandfather is buried in order to say a few Tehillim for him and for my other family members who are buried there. As a father, this post from Jack really made me think. While I grew up in a mid-size city of about 60,000 people, I now live in a major metropolitan area. Thank G-d, I have a single-family home and live in a nice neighborhood with friendly neighbors. Sometimes, however, the chaos of the area gets to me. I ask myself, is this where I really want to live? ...is this a place I want to raise my children? The question then becomes where would I go? If I were to move I would need a place with a Jewish community, a shul, a kosher supermarket, and a mikvah. This automatically eliminates most small towns. I also wouldn't want to move to the other coast since all my family lives on this coast. So now, I just have the choice between a few large cities, none of which are anymore appealing than where I live now. Problems exist everywhere. They exist in every town and city. The Baal Shem Tov once said, "Trying to run away from one's problems is like a woman in labor running off to another room. " Another city would just be "another room". There obviously must be a reason why I meant to live here in this city. Perhaps this is where I am supposed to stay until Moshiach comes. Perhaps I am not meant to be too comfortable here in Golus. What is temimus? It is to speak and conduct one's business without any sort of deception, and to ensure that one's words express his true inner feelings. A person whose words are not reflective of his true feelings, cannot be considered a sincere person. What color is better, black or white? Why do we feel the need to express an opinion so strongly? Can't two answers be correct at the same time? I am not a chassid, yet my family has its roots in the area that was the birthplace of Chassidus. The name of my family's shtetl, as well the names of the surrounding shtetls can be found within the stories of the Baal Shem Tov. Chassidus seems natural to me. I feel Chassidus in my blood and in my neshoma. Perhaps I am a chassid in hashkafa, but not in practice. There was a Rebbe in the town my family comes from, yet this Rebbe did not leave a dynasty of chassidim such as the dynasties of Chernobyl, Rizhin, Ger, Satmar, or Lubavitch. Three years ago I put a kvitel on the gravesite of the Rebbe asking that I be able to understand the teachings contained in his sefer. Breslov continues without a Rebbe. Lubavitch continues without a Rebbe. Can one continue without a Rebbe or the Rebbe's chassidim? If I were to become a chassid, whose chassid would I be? If you notice that another person hates you, thereby transgressing the prohibition against hating a fellow Jew, use his negative feelings as a catalyst for self-introspection. Perhaps, in fact, his spiritual service is far better than yours, and he finds your spiritual aspirations wanting. His hate may, therefore, be based on his perspective of your spiritual faults. I thoroughly enjoy the interactive nature of blogging - The ability to explore ideas, thoughts, and emotions on a deeper level with other people around the world from all backgrounds. Most of us spend at least eight hours a day in the work world. The work world is characterized as a world of mental stagnation. Most workers idea's are never given further consideration by their management. Thus, it is easy for the common working person to simply turn into a drone and do as he is told. This is not so with blogging. With blogging it makes no difference what the person's name is ,what the person does for a living, or where the person lives. What matters are the ideas that one presents. Blogging provides a soap box to those people who might not be listened to in their daily lives. I am amazed that people visit this site, some even on a daily basis just to read what I write. Knowing that there are people out there keeps my mind active in order to continually think of new ideas to share. It is rewarding to connect with all of you since establishing my home here in cyberspace. Being a listener and allowing another person to be heard, is the greatest gift one can give another. Chocolate Coin - Chaka Khan! For the past few days my daughter has been running around the house on a sugar high asking for Chanukah gelt. "Chocolate coin! Chocolate coin! Chocolate coin!" Maybe this is where Chaka Khan got her name from. Random Thought #1: I have always felt uncomfortable when a person compliments me for something I own or recently purchased. I was not the artisan who made the item, I did not manufacture it, I only bought it...something anyone with a few dollars could do. Random Thought #2: If a person is not a gemologist one can easily confuse cubic zirconium with a real diamond. Yet there are people who must have a diamond and cannot live knowing that they have cubic zirconium. What is the difference? It is the person's knowledge concerning the true essence of the item. Question: How do the thoughts above relate to the Baal Shem Tov's teaching in Tzava'as Harivash #109? People bemoan the fact that they are “needy”. They need this! They need that! And yet they recite the blessing every morning: "Blessed are You, Hashem, our G-d, King of the Universe, Who has provided me with my every need." This means very clearly that whatever I need, G-d provides; and if G-d hasn’t provided it, it’s a clear sign that I really don’t need it! 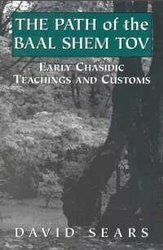 If you enjoy stories about the Baal Shem Tov, you will certainly enjoy this new book. Why is it so important for us to know who the messenger is? Why do we immediately discount the message if we dislike or disagree with the messenger? Perhaps the message still has validity. A person must give care attention to every thought, word, and event that comes his way every day, because G-d placed Himself within them, as it were, sending each person different messages, appropriate to the time and place. When a person is sunk in the desire to eat greedily it is certain that he is far from truth. When a person stands in front of the Heavenly tribunal to be judged for all the deeds in his life, he is first asked the following questions; Were you honest in business? Did you have fixed times for Torah study? Did you labor in having and raising children? Did you wait for the Redemption? They do not ask, "Did you fulfill your obligation to have children?" They ask if you labored in raising children. This is the beginning of the soul's judgment when it ascends to Heaven. Appararently it is of the utmost importance and one of the main accomplishments expected from us in this world. We can fulfill our obligation to bring children into this world in just a few moments and be done with it, but the obligation to toil in raising them is constant. Reb Simcha posted a very interesting piece today that is worth reading and thinking about. One of my daughter's friends is a little boy named "Binyomin". Binyomin's mother is Jewish and his father is not Jewish. Binyomin, like most children of intermarriage, is being brought up to celebrate both Chanukah and X-mas. This is certainly not something uncommon these days. Who knows what the future holds for Binyomin. My prayer is that the holy and pure neshomah within him gives him the strength to discard the influences which are harmful to him as a Jew. I daven that one day he realizes that he is Jew, and a Jew doesn't celebrate on December 25th. May it be Hashem's will that little Binyomin gets in touch with the "pure oil" that is inside him. I don’t understand the people who come to me. All week long they do as they please. When Shabbos comes along, they dress in all their finery and consider themselves members of the wedding family to welcome the Shabbos bride. And I say that their dress is a façade. Their behavior on this Shabbos is just the same as their behavior on all the other days of the week. I feel a certain sadness each night of Chanukah once the candles on the menorah burn out and the smoke rises upwards. When a person passes away his neshoma returns to its source and the body remains behind, a mere container. Similarly, once the flame of the candles are extinguished, the menorah remains alone, lacking the element which allowed it to be used for a mitzvah. Don’t just tell children a story; emphasize that this story belongs to them, that it is their personal legacy. Demonstrate clearly how they themselves are related to these events of the past. And then explain that you are transmitting these tales to them not merely for their own education or entertainment, but so that they will remember to pass the story on as a legacy to their children in turn. My daughter is two years old and has been looking forward to Chanukah for weeks now. This year my wife and I decided to give her a small present each night after we lit the menorah. This sounded good in theory. We figured that this would get our daughter all excited about Chanukah and make her love the holiday. After ripping through her first present last night, within seconds she screamed "MORE...MORE PRESENTS!!" I know she is only two years old, but at the same time if we are trying to teach her the values of not being selfish and materialistic, aren't we working against ourselves? If we kept up this practice wouldn't she feel entitled to a present on the ninth night, after Chanuka is already over? We came to the conclusion that we would stop the practice of "eight nights of presents" and only give her one more present on the last night. How do others deal with this issue? I know that it is a problem for Jews and non-Jews alike this time of year. I was born on the first day of Chanukah. My wife and I starting dating on the first day of Chanukah eight years ago. My wife found out she was pregnant with our daughter on the third night of Chanukah three years ago. Somehow some of the most important things in my life happen at this time of year. There is a tragic aspect to man's essence; it lies in the fact that people and things closest to his heart are not properly appreciated so long as they are alive and present. I need to be more careful with the words that come out of my mouth. Whatever my rationalization or excuse, the fact is that I haven't been careful about speaking lashon hara against certain people recently. As of today, I take it upon myself to refrain speaking lashon hara against these people. If I am unsuccessful, I will fine myself $18 on each occasion and give the money to tzedakah. I have used the method of fining myself in the past when ridding my speech of profanity. I have found that this is an effective way to change. Learn to be silent - so that you may learn to speak. When you are thoroughly exhausted, the last thing you would think to do, or want to do, is to exercise. However it is the exercise itself that makes you feel better. I am still amazed how you get more energy by expending energy. I always feel better after running on the treadmill for 30 minutes. It clears up my previously clouded mind. Don't try to explain the science of this to me. I got C's and D's in science. I just think that it is an amazing phenomenon. The stronger our commitment to honesty and truth - about ourselves, as well as the world around us - the greater is our ability to perceive G-d.
A chassid once came to one of the Gerer Rebbe with a complaint. "Rebbe, I have no parnossa, my wife is sick, and I'm constantly tired. How is one supposed to serve Hashem with peace-of-mind in this kind of life?!" "Who says Hashem wants you to serve Him with peace-of-mind," was the Rebbe's characteristically terse reply. Lately I have been feeling exhausted, both mentally and physically. While it appears that I have finally gotten rid of my cold, both my kids and my wife do not feel well. Juggling work, a sick family, and a yard full of leaves makes it difficult to concentrate on ruchnius. How can one serve Hashem with fatigue? He who does not perceive G-d in every place, does not perceive Him in any place. In today's post, DovBear takes issue with those who flaunt their yichus. Indeed, many of those who are interested in genealogy are interested for narcissistic purposes. Genealogy, however, can also be a means for a Jew to reconnect to his heritage and to Hashem. The Piacezna Rebbe HY"D reminded us that every Jew, no matter who he is, has yichus to be proud of. We are descendents of Avraham Avinu after all! Another day passes without much to differentiate it from the day before. Looking back it all seems to be a blur. Hashem renews His creation each and every day. Our challenge is to see each day as a renewal. Do as a tightrope walker does. The way he maintains his delicate balance is that when he feels drawn to one side, he leans a bit toward the other. When you feel yourself tempted to do something, lean a bit toward the other side. I have seen Rabbi Yissocher Frand speak on two occasions this past year. He is an absolutely phenomenal speaker. Rabbi Frand has just released a new book entitled An Offer You Can't Refuse. I have almost finished reading it and highly recommend it to others. "Mother, is it right to grieve that much for the loss of our home?" "Heaven forbid," his mother answered, "I do not grieve over the loss of our home but over the document of our family-tree that was burned with it. For this document traced our descent to Rabbi Yochanan HaSandler who was direct descendent of King David!" "If so," said the young boy, "I shall start for you a new dynasty…"
I once read that emotions are not caused by events, but by our perception of events. Along these lines I have been thinking recently about how we react emotionally to our own choice of words. If we perceive something to be negative and we say it is "horrible" we react differently than if we say that it is "unfortunate". If we think someone is not telling us the truth we react differently if we explain that this is a "lie" rather than saying that this is "not the truth" which does not imply malicious intent. Similarly, on the positive side, if we say something is "fantastic" we react differently than if we say that it is merely "good". We affect our own consciousness by the words we choose to express ourselves. By using positive words we can begin to view the world around us with a different set of lenses. One should make sure that what emanates from the mouth will enlighten others. Just as a Jew is duty-bound to put on tefillin every day, it is no less crucial to devote a half and hour each day thinking about how to raise our children in the right way.